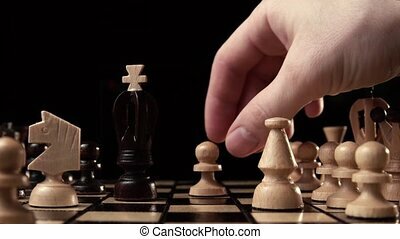 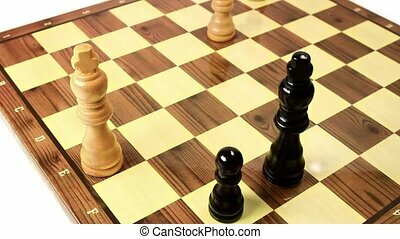 White chess make the first retaliatory move pawn. 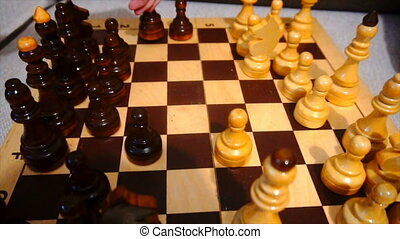 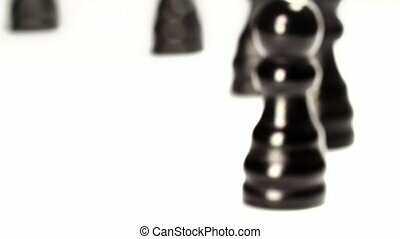 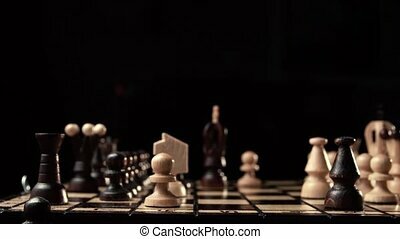 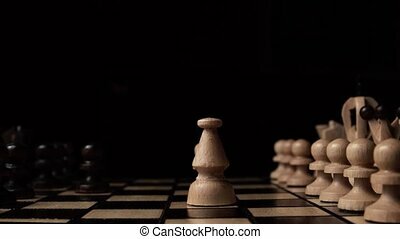 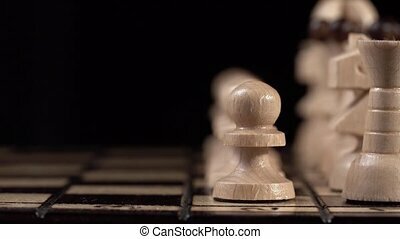 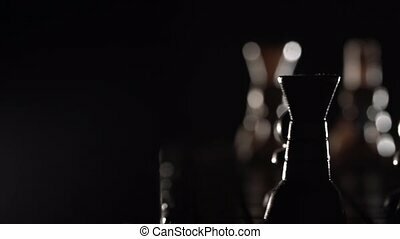 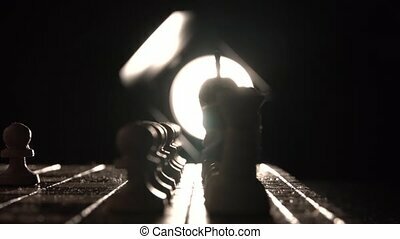 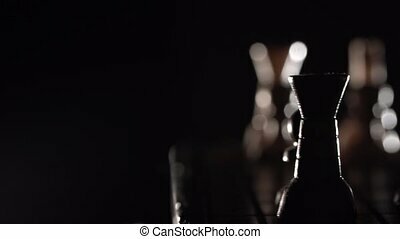 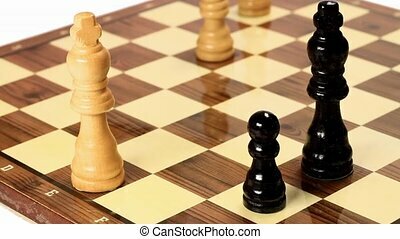 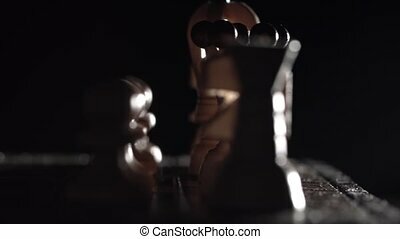 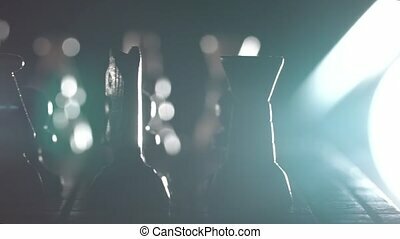 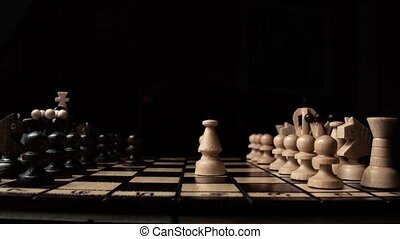 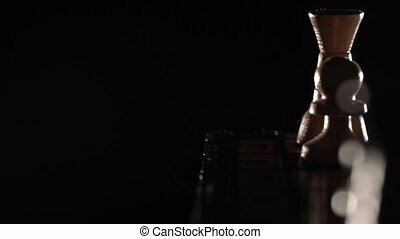 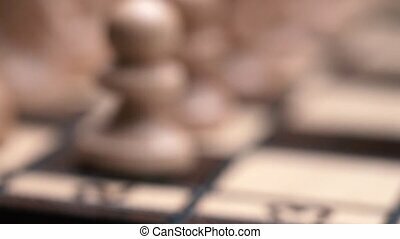 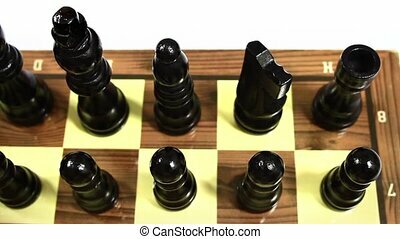 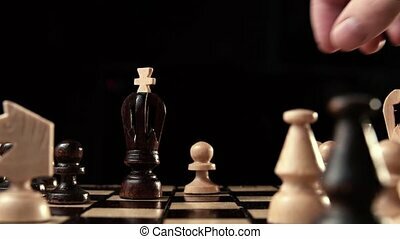 chess closeup, wooden chess board, business concept, black background. 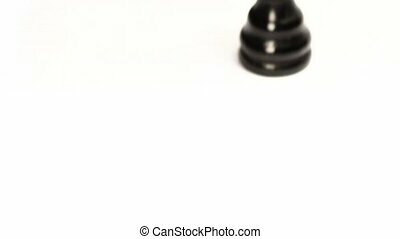 slide camera. 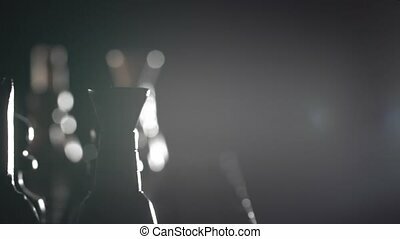 studio. 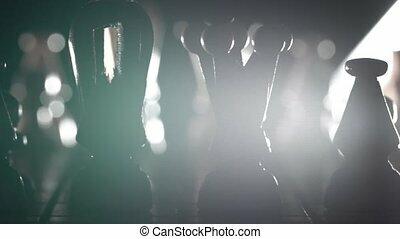 hand made chess.